Newsletter- sign up its free! 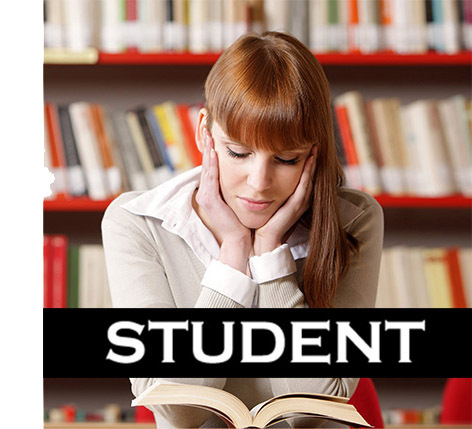 For Students: Buy an Individual Licence Now! Are you a current individual student studying at Masters, PhD, or PGCE level, looking for funding to support your maintenance costs, fees, fourth year doctorate, or other study, conferemce, or research expenses? Perhaps you are a prospective postgraduate applying for places, or an offer-holder? Whichever you are - and whether you are full or part-time, home student or international - then the Alternative Guide can help you! Read more about how here. Note: If you are staff considering a central subscription for a university, please click here! You can gain access to the Alternative Guide Online right now! Price-wise, the Guide is just £14.99 for 3 months, and £24.99 for a full 12 months. We recommend the three month plan for students who want to dive into the Guide and do intense research in a short period, and the one year-plan for those who want to work at a more relaxed pace and keep track of updates and new funding opportunities. Note that with either of our plans, you can download (for free) the PDF Version of the Alternative Guide 2018-19 as a book which you can keep and read at your leisure! Sound good? If yes, then just click the big button below, and you can pay by Debit/ Credit Card, or Paypal. When you complete the payment, personal login details - username and password - will be sent immediately to your email account, with instructions on logging onto the Guide. If you would like to pay another way (e.g. cheque, BACS, Postal Order) please click here for Alternative Payment Methods! Want the Book Form of the Alternative Guide Instead? Finally, perhaps you are interested in a physical hard copy of the Alternative Guide 2018/19 - 158 pages - as a book? While this web resource is a significant upgrade on our old book version, we still publish it each year. Sometimes university staff at Careers Services and Student Funding Offices like to purchase reference hard copies of the book version. For individual student subscribers, however, we overwhelmingly recommend you purchase this web resource (plus you can download a PDF of the book version from the web resource for free anyway). For more info on the book version, click here! Copyright © 2019 Postgraduate Funding for University Students through Grants from Charity | GradFunding. All Rights Reserved. Designed by JoomlArt.com. Joomla! is Free Software released under the GNU General Public License.